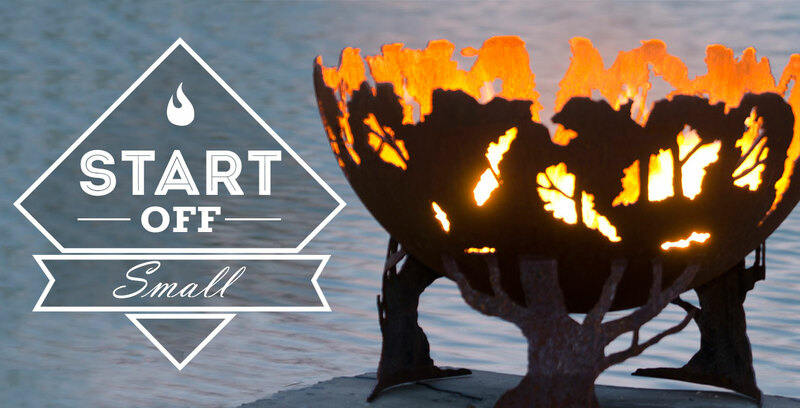 On a cool evening, there’s nothing quite like sitting near an artistic fire pit. Whether you’re roasting marshmallows, sharing exciting stories, or both, a fire pit sphere is meant to be enjoyed by the whole family. Here are some fire pit safety tips to help make your experience around a unique fire pit as safe as it is enjoyable. The best fire pit safety practices happen through education. Make sure every member of your family knows what to do in case of a fire emergency. This includes what can be used to extinguish a fire, how to use those extinguishers, as well as a plan of action in case there is a fire. Practicing different scenarios also helps when teaching children fire pit safety. The U.S. Fire Administration and the National Fire Prevention Association both have excellent information and fire pit safety guides on their websites. If you’re cozying up near a wood-burning fire pit sphere, flying sparks and embers are certainly a fire pit safety concern. 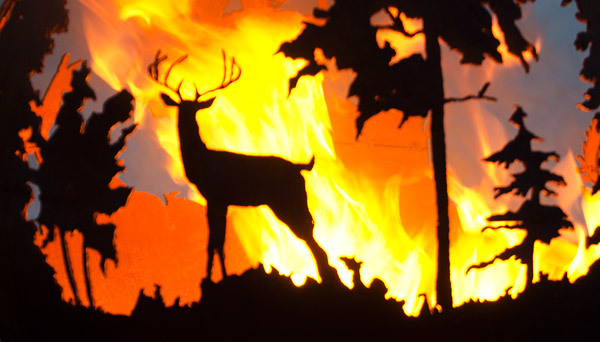 There is always a chance that an ember may jump from the fire pit sphere and land on dry grass or dead leaves. This event could create a fire and subsequently cause a great deal of damage. In order to reduce the chances of flying embers starting fires, make sure you place your fire pit sphere in the right spot of your outdoor space. What’s the right spot? Choose an area several feet away from your home and other structures such as porches and sheds. Take a look at your space and look for a clear opening. Because their dead leaves can break off and fall nearby, avoid areas too close to trees. For a better idea, check your city’s ordinances. Your city may have specific guidelines for where to place your fire pit sphere. Another fire pit safety concern comes from actually building your fire. Remember that when you light up your unique fire pit, start it off small and try not to build a fire when there’s a strong wind. Gradually add wood or kindling to your fire if you desire a larger flame. Creating a huge blaze, especially with accelerants, from the start can end up causing damage and harm. Using accelerants for your fires should be avoided because they can lead to flare ups and flame jetting. 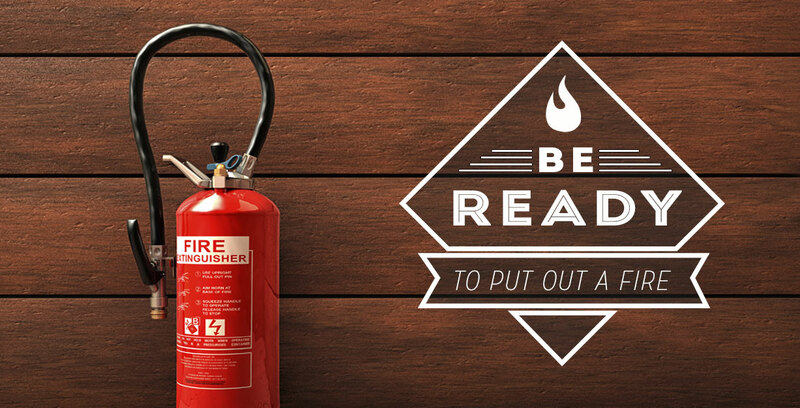 A golden rule of fire pit safety is to always keep a fire extinguisher nearby. This doesn’t have to be just those familiar red canisters. A bucket of ash, a pile of sand or a garden hose (set to spray) can quickly help put out a dangerous fire. Keep an eye on your fire pit from start to beyond finish. In a past article, we talked about how to ensure the fire in your unique fire pit sphere is completely out so there are no leftover embers. 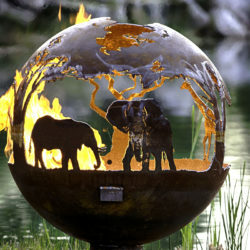 What do you use to put out your unique fire pit sphere? Tell us in the comment section below or on our social media channels.